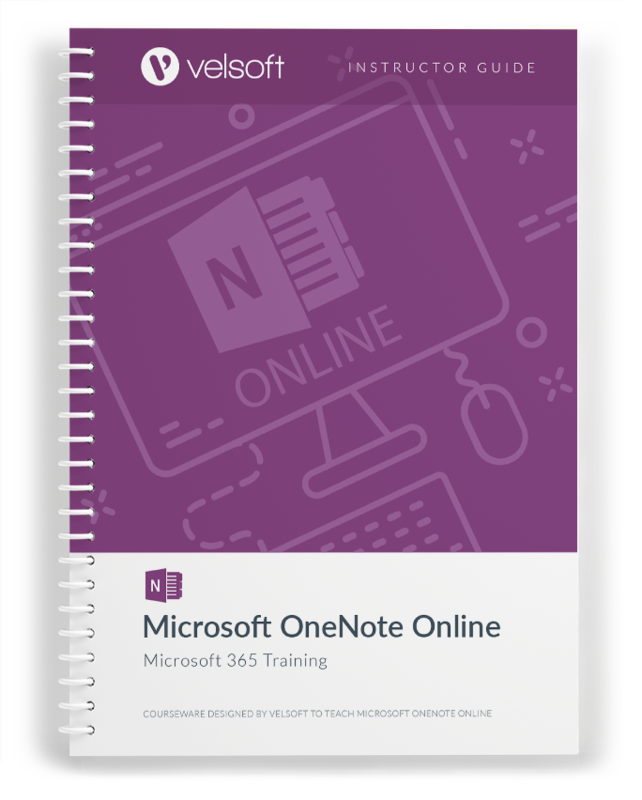 Microsoft OneNote Online is a cloud-based application designed to organize thoughts and research into notebooks, with features such as real time collaboration, and the ability to convert handwritten notes into typed text. This training package from Velsoft will help students learn valuable skills to in order to fully benefit from the elements of OneNote Online, including how to create, set up, and use a notebook; manage pages and sections; use formatting tools, add images and tables; use tags, symbols, and drawing tools; use proofing tools; and share and collaborate. 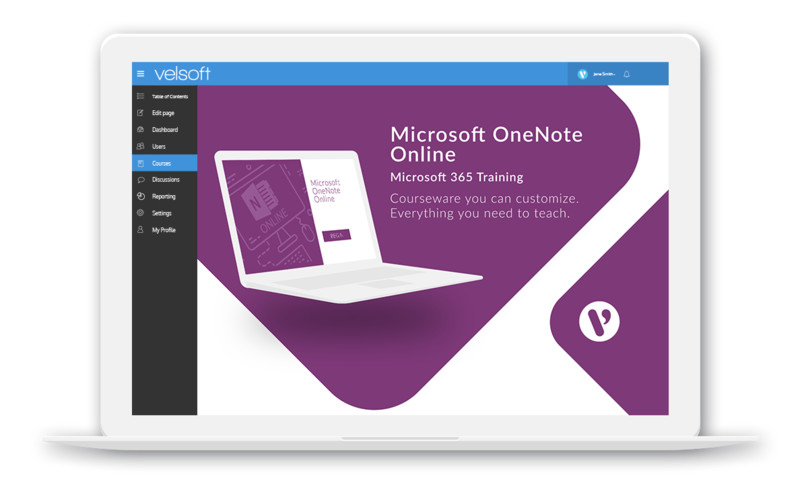 Each Velsoft course comes complete with all the tools needed to deliver a comprehensive training session — an instructor guide, student manual, quick reference guide, onenote slides, and more. 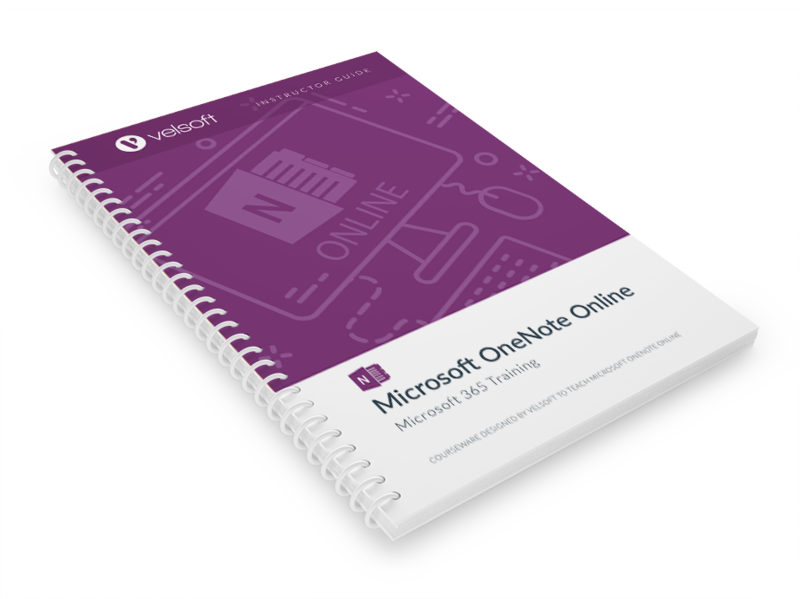 Download a free sample today..
Microsoft OneNote Online is one-day course that provides your students with a comprehensive overview of the knowledge and skills need to ensure the viability of businesses in today's world. The course material applies equally to product and service-based enterprises.